Now that it's December and I don't have a challenge motivating me to write every day, I seem to have gone back to my less-frequent blogging. I also haven't read much this past week, so I don't have a lot to share today. We've been busy getting everything ready for Christmas. I finally got some shopping done and figured out what we're getting the kids. I'm very late this year! I finished The Lake by Banana Yoshimoto, which I hope to review within the next couple of days. I also read The Big Book of Parenting Tweets, mentioned above. It was very funny. I started reading The Maze Runner by James Dashner, but haven't made much progress. 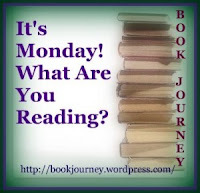 C read Potterwookiee (The Creature from My Closet Book 2) by Obert Skye. He really likes this series, so I'm going to try to get the next two books from the library. M read Candy Fairies: 1 Chocolate Dreams by Helen Perelman. She spent the weekend carrying it around and reading it. It's the first book she hasn't been able to put down in a while, so I'll definitely be getting her more in this series. Many of my students are wanting to read The Maze Runner now that the movie is out. I'm reading it to see if it's okay for my 10 year old to read. I found The Maze Runner only so-so, but I know a lot of people loved it! I will be interested to see what you think. Good to know. It seems interesting so far, but I've only read a couple chapters. I just can't seem to find time to read lately! !